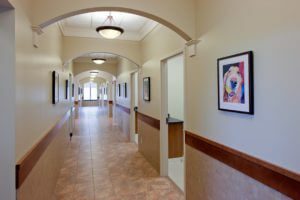 Our 24 hour pet hospital is located in Northfield and serves Chicagoland and the northern suburbs, with easy access off the Edens Expressway. When you have a pet emergency, seconds count. 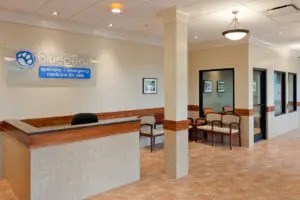 We want you to know, our BluePearl veterinary clinic is ready. If your pet has a condition that requires a specialist’s expertise, we’re ready for that too. Our experienced team of veterinarians, vet technicians and support staff work closely together to provide the comprehensive, compassionate care your pet needs and deserves. Our 24 hour pet hospital always has an emergency vet on staff, and our modern, state-of-the-art facility is fully equipped to treat your pet. We have access to veterinary surgery 24 hours a day. Our equipment includes a CT scanner, ultrasound and X-rays. We also offer radioiodine I-131 treatment for cats with hyperthyroidism. When your dog or cat suffers an injury or illness, please consider us your 24 hour veterinarian.